ST. GEORGE — A suspect wanted for murder out of Colorado is now behind bars after a high speed chase with Garfield County Sheriff’s deputies ended in arrest Friday morning. 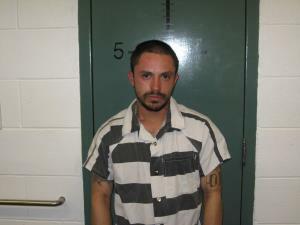 Deputies arrested 27-year-old David Carlos Craine and a passenger, Lindsy Michelle Petschauer, after the pair allegedly took officers on a chase through two counties while reaching speeds exceeding 100 mph. It all started at about 10 a.m., when a Piute County Sheriff’s deputy attempted to stop a vehicle for speeding after the officer observed the car traveling at 104 mph, Garfield County Sheriff’s spokesperson Cheryl Church said in a written statement released Saturday. Instead of pulling over, the driver continued down the road at more than 100 mph with the Piute County Sheriff’s deputy following close behind. The chase continued into Garfield County where authorities from Garfield County Sheriff’s Office, Division of Wildlife Resources and Utah Highway Patrol utilized spike strips to deflate all four tires, Church said. Craine continued driving on the car’s rims until losing control near Panguitch. Once the car stopped, both Craine and Petschauer jumped from the vehicle attempting to flee on foot and were soon apprehended. Craine was wanted out of Arapahoe County, Colorado, for alleged involvement in a fatal shooting at an Englewood apartment complex where police found a 36-year-old man lying in the parking lot with a single gunshot wound December 29, 2016. The victim later died from his injuries at the hospital and a warrant was then issued for Craine. The Arapahoe County Sheriff’s Office is seeking the public’s help in locating a suspect in a shooting. Investigators have obtained an arrest warrant for 27-year-old David Craine for homicide. 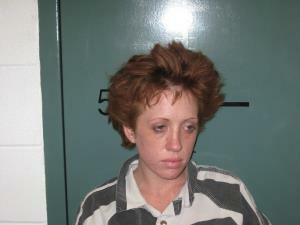 Investigators have been looking for Craine since the shooting but have exhausted their leads. Craine has no known current address or employment, and has the word ‘Craine’ tattooed on his neck. Well done, Piute and Garfield County Sheriff’s Officers, Utah Highway Patrol and Wildlife Resource Officers. You have combined forces efficiently and effectively taking a murder suspect and his moll out of circulation. You just can’t go around shoot’n people and destroying lives! Good find! Book ‘me Dano. The word can’t is improper because he showed he could. But y’all know what I mean. Be nice. Are you starting an argument with yourself?